I'm almost done with the absolute mindf**k that is moving from one tiny apartment to another. The mixing bowls have found their homes, the cats have come out from under the bed, and I can only see four boxes. Triumph! Seeking clever storage solutions, I set out on a thrift store odyssey last week that took me on a loop of northside Seattle, from Wallingford to Ballard to Crown Hill to Shoreline. I filled my boyfriend's car with shelves, bins, and eventually a countertop. It's no secret that I don't like driving. Our dependence on driving has a lot of very nasty side effects that I don't need to get into here. But when I do find myself behind the wheel of a borrowed car, I try to act like a member of society rather than Rebel McSexy. Isn't it strange that being a courteous driver is seen as a choice rather than a requirement of using shared roads? 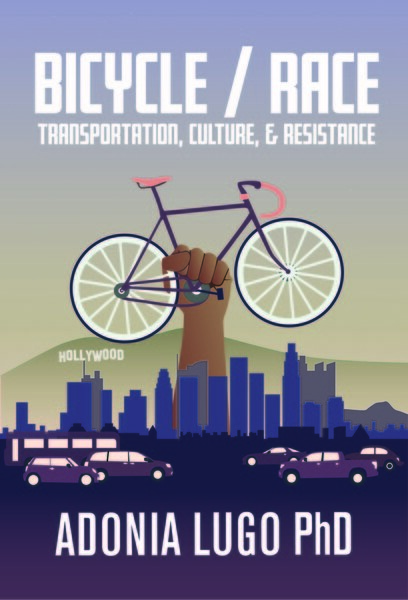 I remember getting a car ride home from a tour de force of LA's bike scene, Chicken Leather, and marveling at how he managed to stay a part of what was going on outside the car even while carrying on a conversation in the car. He stuck his head out the window, gesticulated at passersby, and generally kept us part of, not apart from, the city as we drove through Echo Park. We've got a long ways to go before everyone feels safe getting around outside of a car, and my anthropological research on transportation makes me think that shifting how people drive matters a lot. Just cause you're alone in your car doesn't mean you're alone on the road; driving is a social activity. As a bicyclist and pedestrian, I cringe when I see motorists breezing their tons of metal through intersections as though their time matters more than any fellow road user's life. So, on the rare occasions when I'm the person piloting the gas guzzler, I make a conscious effort to demonstrate my regard for people outside my vehicle. I call it being a social driver. Being a social driver means that I let other motorists pull in front of me, I stop for pedestrians, I wait to pass bicyclists until I can give them a wide berth, and I obey traffic laws. I drive with a window open so I can hear street sounds. I don't necessarily take advantage of "right turn on red" opportunities cause they encourage motorists to look left, inching into the crosswalk, while the light may have changed and people are crossing the street. I also do a lot of hand signaling and try to make eye contact with other road users, whether I'm walking, biking, or driving. When I lived in Portland, I felt annoyed that some motorists gave bicyclists right of way. Everyone I know who bikes there has noted the tendency of drivers to stop at the sight of a bicyclist, ignoring or ignorant of traffic laws that make bicyclists and motorists equals. If I were pedaling up to a four way stop planning to wait my turn to pass through, it messed with my rhythm to have a motorist stop unexpectedly to give me an imagined right of way. Over the years, though, as I've biked in cities all over the U.S., I've come to see Portland's courteous driving culture as a key reason why cycling has been able to take such a firm hold there. So even if you don't think you can brave traffic outside a car, you should see yourself as contributing to the social life of the street.